How to Recover Exchange Databases with ESEUTIL / ISINTEG? 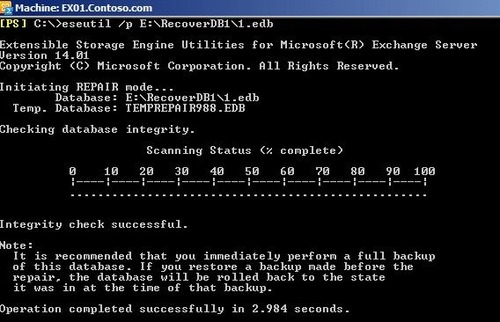 However it is important to carry out the following action before carrying out process of repairing exchange database eseutil /p or Isinteg command. Both Eseutil and Isinteg commands can be used only for inaccessible EDB files. Thus, database must be dismounted from the Exchange Server before executing the steps with these tools. 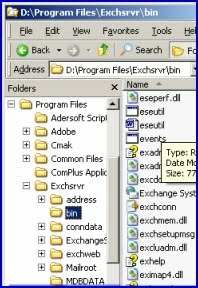 Eseutil.exe can be run from DOS command prompt as well. 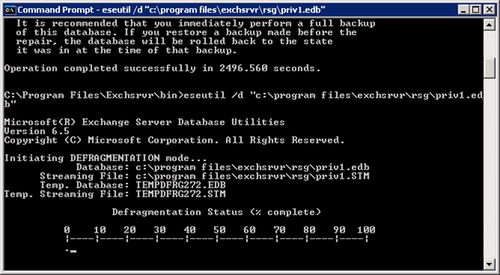 Type "cmd" and click "Ok"
It is recommended to run eseutil/p command if the database is severly damaged. After carrying out the recovery process successfully of EDB database with Eseutil/p, run Eseutil/d to defragment the database. Mount the EDB database again by using Administrative tools of MS Exchange. EDB corruption issues due to Jet Engine errors or software faulty cannot be repaired or recovered with Eseutil and Isinteg utilities. Therefore it is indeed important to choose Exchange EDB Recovery Software to fix all types of errors and issues.